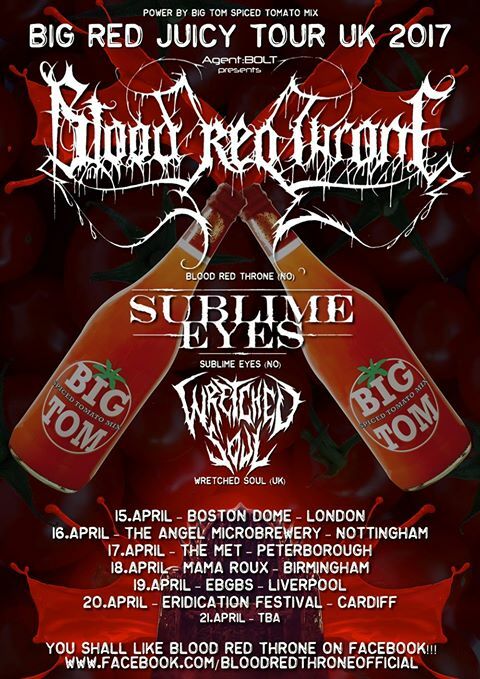 Norwegian Metallers Sublime Eyes just confirmed their UK tour with metal monsters Blood Red Throne. The tour includes shows in London, Nottingham, Birmingham, Liverpool, Cardiff and much more. For infos please check the tour poster here.